The American Academy of Pediatrics has published a new report recommending that middle schools and high schools start the school day no earlier than 8:30 a.m. Lack of sleep can cause an array of health problems, particularly during puberty. 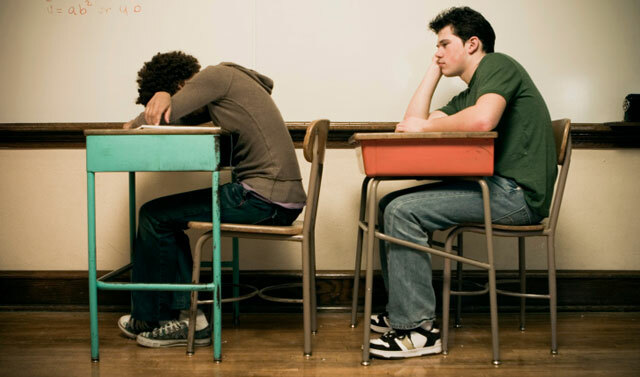 As teenagers go through puberty, their circadian rhythms shift, making it very difficult for them to fall asleep before 11 p.m. Teenagers need between 8.5 and 9.5 hours of sleep a night, so if they fall asleep precisely at 11 p.m., they should sleep in until 7:30 or 8:30 a.m. When the bus comes as early as 6 a.m., students end up losing more than sleep. The effects of sleep deprivation can be drastic. A 2002 study found that for every hour of lost sleep, the odds of obesity increase by 80%, partly because sleep deprivation can lead to higher consumption of carbohydrates and fats. Chronic sleep loss is also linked to an increased risk of car crashes, a greater tendency towards delinquency, and higher incidences of depression and psychological stress. About 14% of high schools currently follow the AAP recommendation and start no earlier than 8:30 a.m. Students who go to schools with later start times feel more alert during the day, are less likely to be tardy, have fewer struggles with attention and concentration, and even perform better academically. Despite all of these indicators, it would be difficult for many schools to implement later start times. Parents often rely on getting the kids out the door so that they can make it to work on time. Starting school an hour later would mean ending an hour later, which can impact sports teams and after-school activities. Many teens hold after-school jobs, which would also be affected by a later start to school days. Talk with your teen about shutting off or removing electronic gadgets from the bedroom. Several studies have shown that exposure to electronics late in the evening can disrupt sleep. The light from these devices can also negatively affect circadian rhythms by suppressing melatonin. Limit your child’s caffeine intake. While it may help your teenager stay awake during school hours, high caffeine use is associated with shorter sleep duration and increased daytime sleepiness. Encourage a weekday and weekend routine. If your child is falling asleep at 2 a.m. one night and 10 p.m. the next, his or her sleep patterns will be thrown off. Discuss setting a bedtime (and wake time) for weekdays, and a bedtime for weekends, and help your teen stick to it. If your young one gets enough sleep, but still seems fatigued during the day, there may be a deeper problem. At FastMed Urgent Care, we can perform a simple blood test to rule out other issues like anemia, low levels of certain vitamins or minerals, and hormonal problems like thyroid-related fatigue.